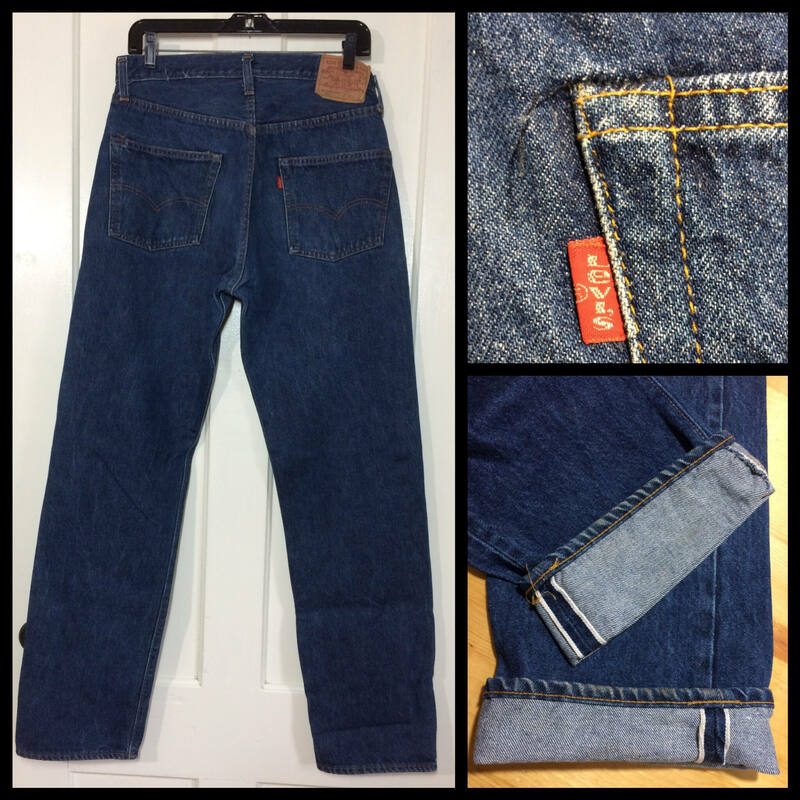 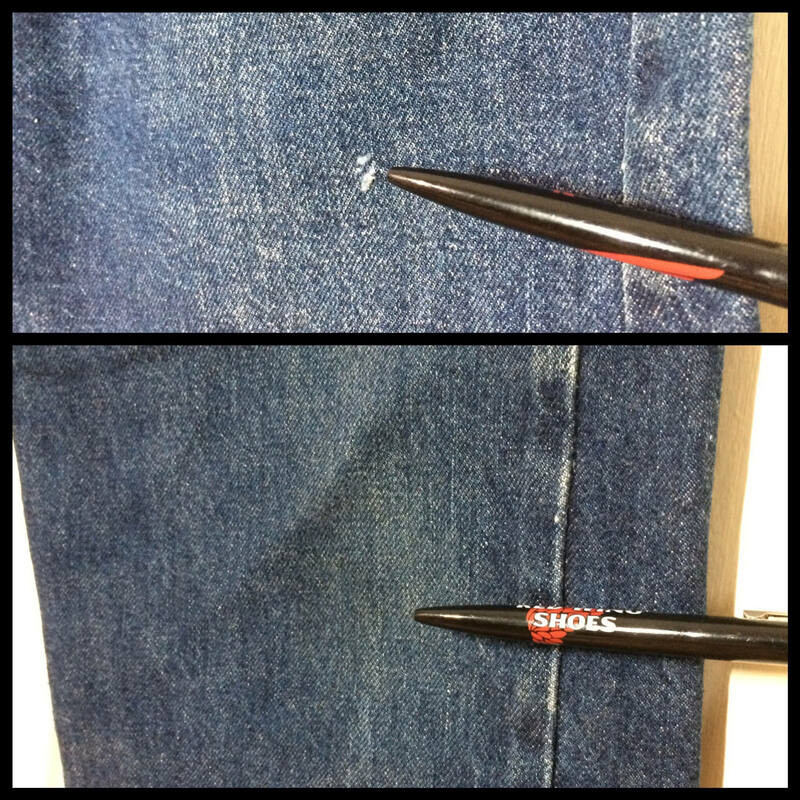 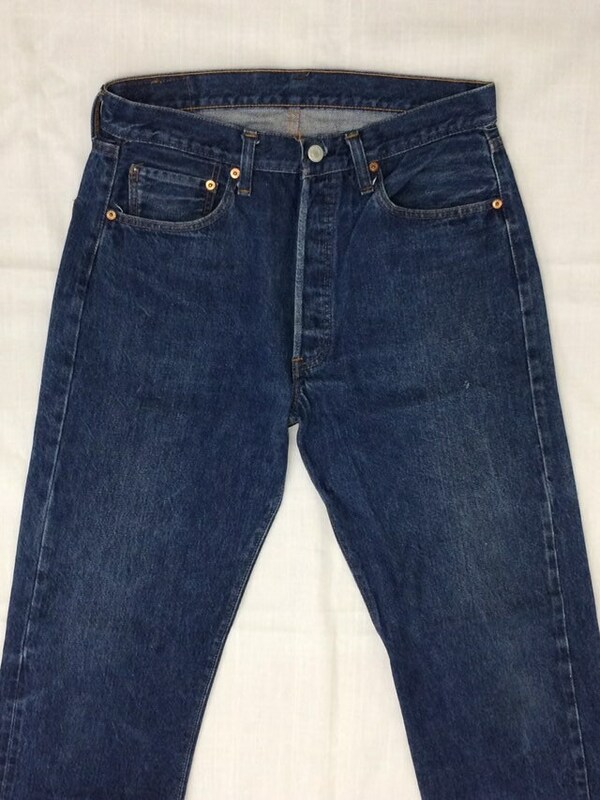 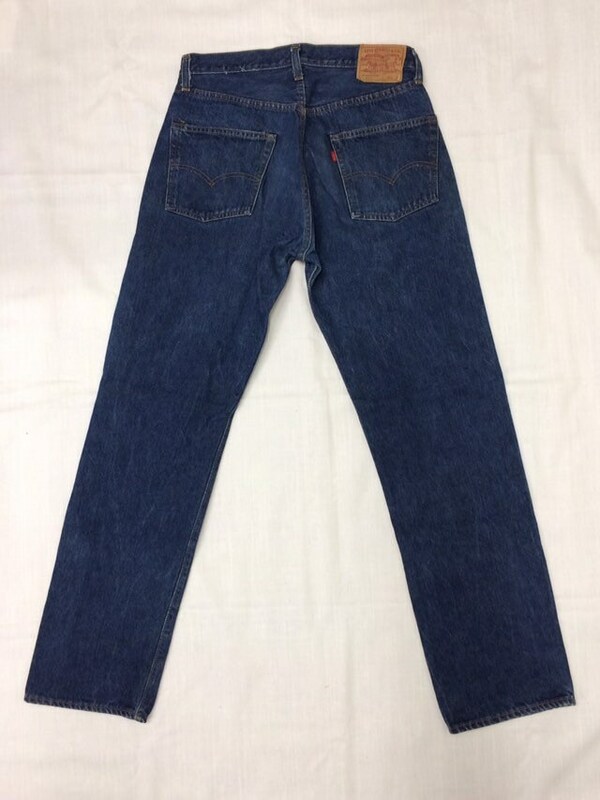 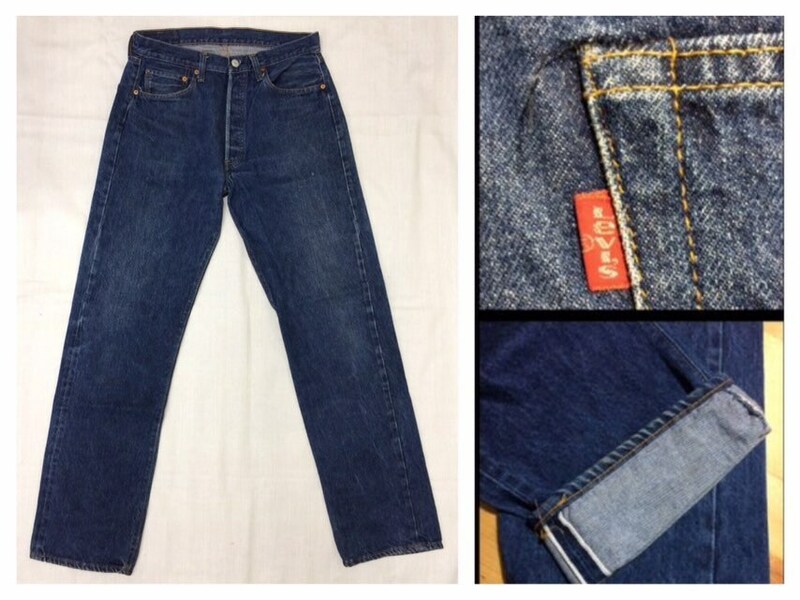 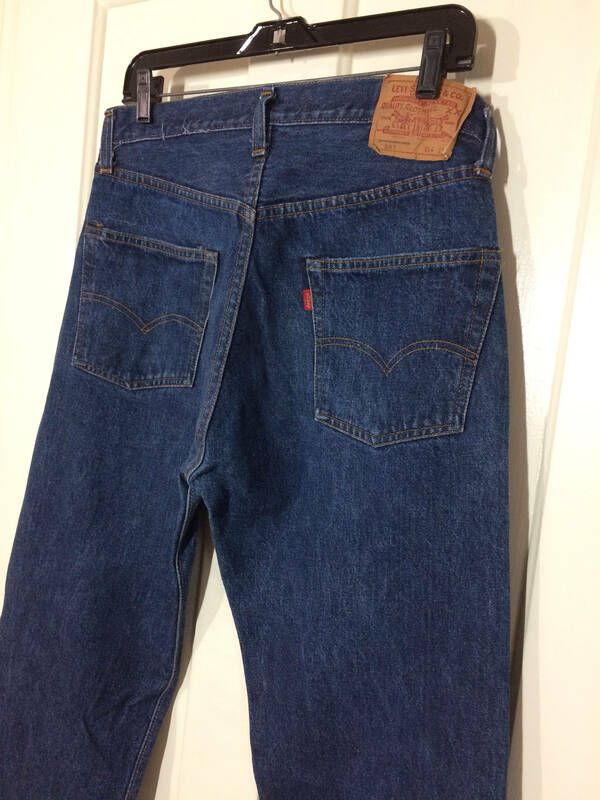 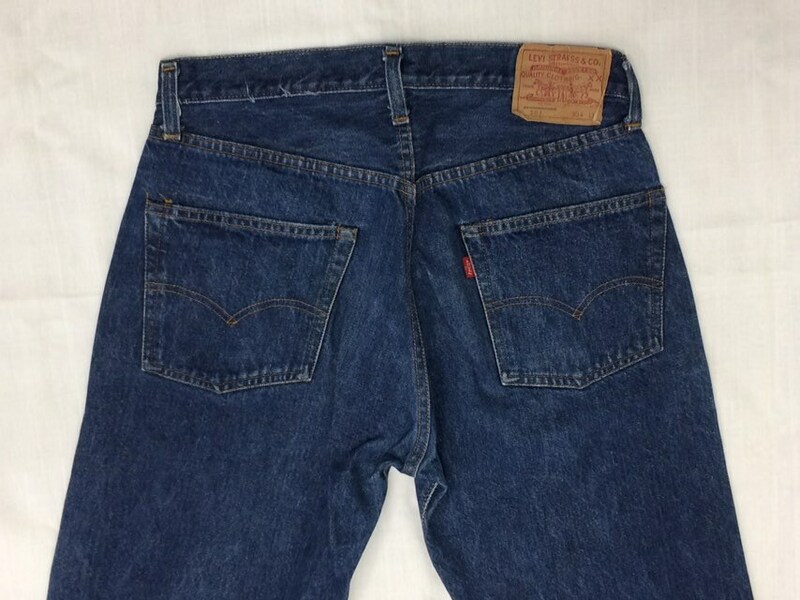 Here's a pair of redline Levi's 501 jeans from the 1980's with dark indigo blue color and a number 6 top button. 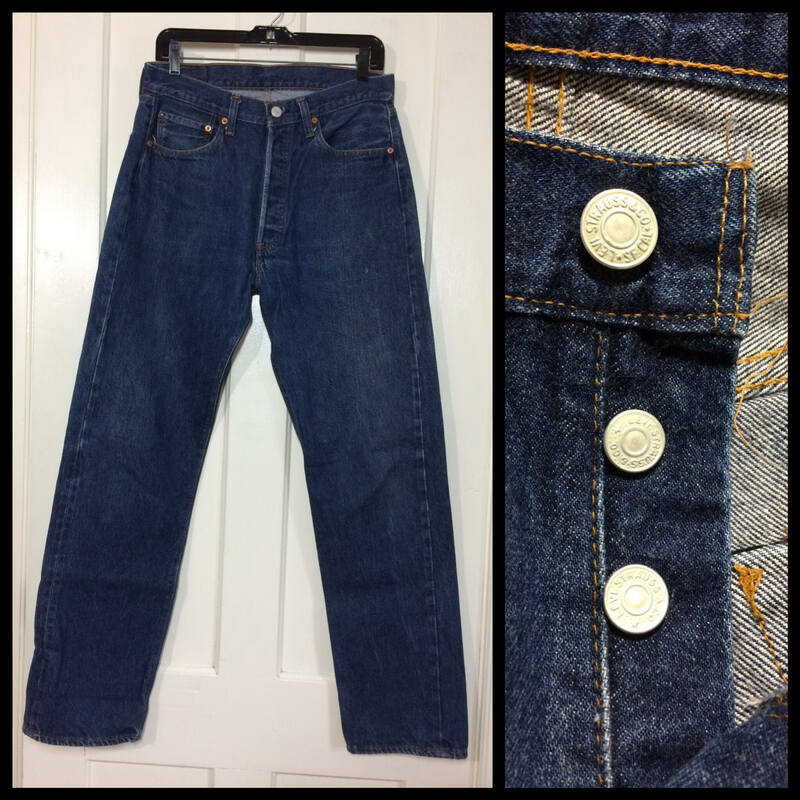 They're 100% cotton denim, made in the USA, with the original hem. 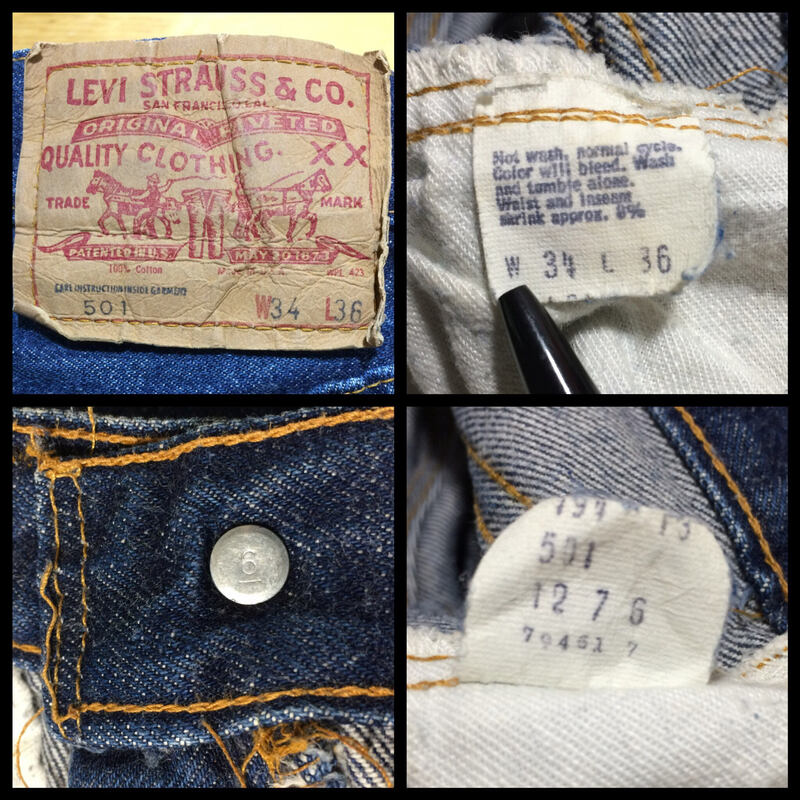 There's a small scuff on the upper left thigh, slight dirt on the left knee and at the bottom of the hems on the legs, see photos. 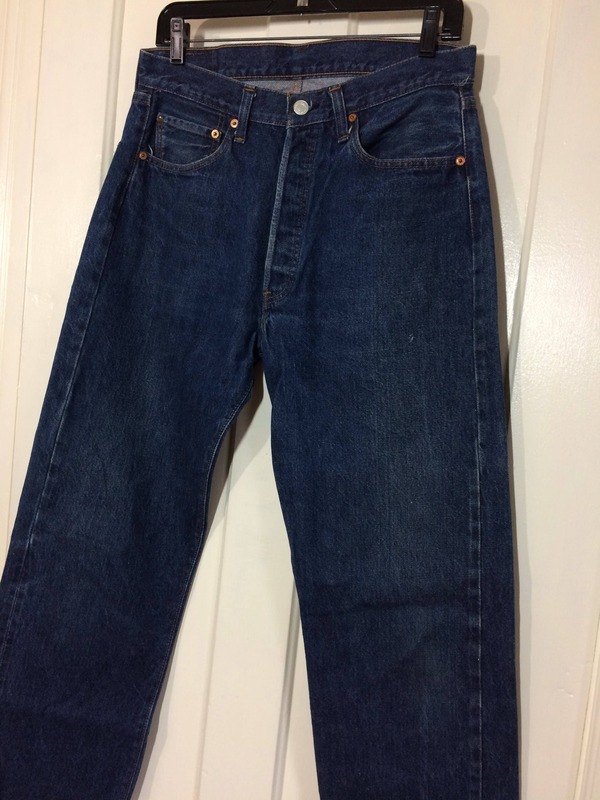 Otherwise, they're in excellent, barely used condition.